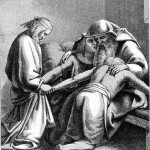 The sages call Jacob Yisrael HaZaken – “Old Israel” – or Yisrael Saba – “Grandfather Israel”. Rav Soloveitchik asks why neither Abraham nor Isaac were given this title, and why Israel, not Abraham or Isaac, became the generic term for our whole people (we are Children of Israel and House of Jacob). Rav Soloveitchik finds the clue in the family dynamic of the patriarchs. Jacob, he says, was the first patriarch to establish direct communication with his grandchildren. Further, Jacob was the first patriarch to bestow special blessings upon his grandchildren, blessing them even before he blessed his own children. No generation gap divided grandfather and grandchildren. 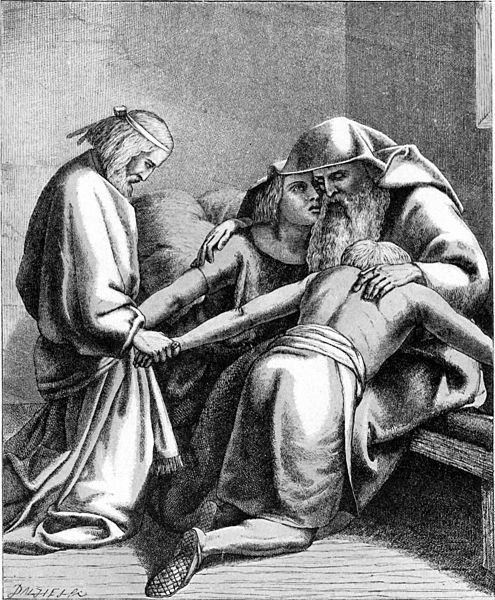 Jacob had a rapport with his grandsons and passed the family tradition directly to them despite the difference in their ages. Fortunate are the grandparents who relate to their grandchildren. Blessed are the grandchildren who relate to their grandparents. But this requires something from both partners. Neither grandparent nor grandchild should impatiently dismiss the other, the one saying, “What do oldies know?” and the other, “The young know nothing”. Let them discover one another and their joy will be unbounded and their lives enriched. WordPress generated this page with 31 queries, in 0.216 seconds.